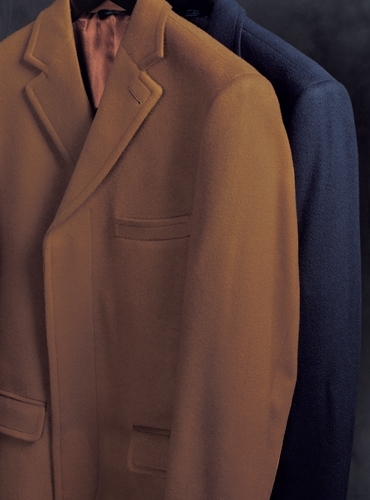 Our practical, warm and lightweight cashmere top coats are investment dressing at its best. 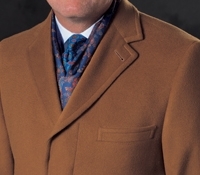 Distinguish yourself, whether at work or on special “occasions”, with either our navy cashmere or our rich vicuna color cashmere top coat. Constructed impeccably to our old world specifications, based on the pattern used by Ben Silver during the years in which he made overcoats for America’s most refined gentlemen. 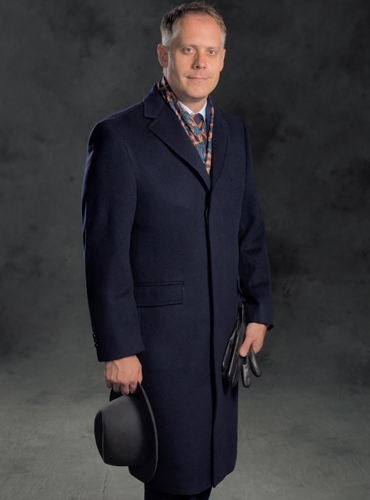 The Bemberg lined coats have a French fly front and notched collar, lower flap pockets and upper inset welted pockets (perfect for holding leather gloves.) 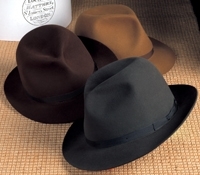 In even sizes 40-48 and odd sizes 39-43. 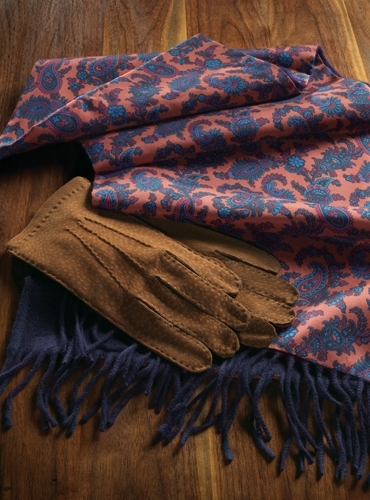 We show each coat with a variation of our paisley silk scarves, with cashmere on reverse. 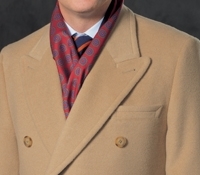 With the navy cashmere coat we propose the spice ground scarf, while we suggest the navy paisley scarf with the vicuna coat. 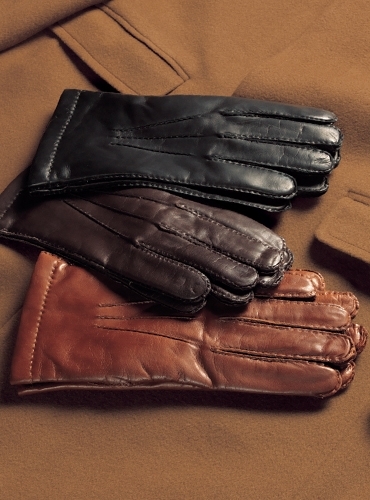 Nappa leather cashmere lined gloves are shown with each coat: black with navy cashmere and brown with vicuna. 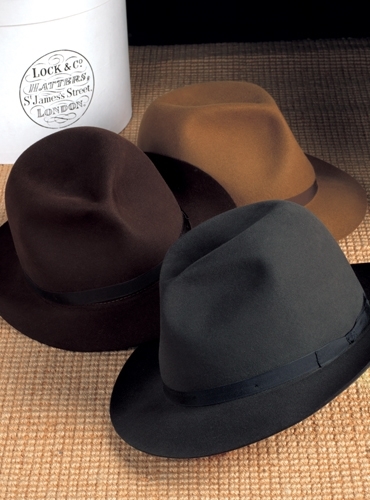 Our Lock & Co. hats complete each ensemble – grey with the navy coat, and chocolate with the vicuna.